A combination of text, graphics and onboard video clips makes for what Tom Sutcliffe refers to as "The best way to learn to tie flies". Covering all the essential techniques from how to thread the bobbin holder to how to build neat Spun deer hair patterns and with detailed information on tying 14 Killer patterns that would make a great basis for anyone's fly box the book is sure to become a winner amongst fly anglers and fly tyers the world over. 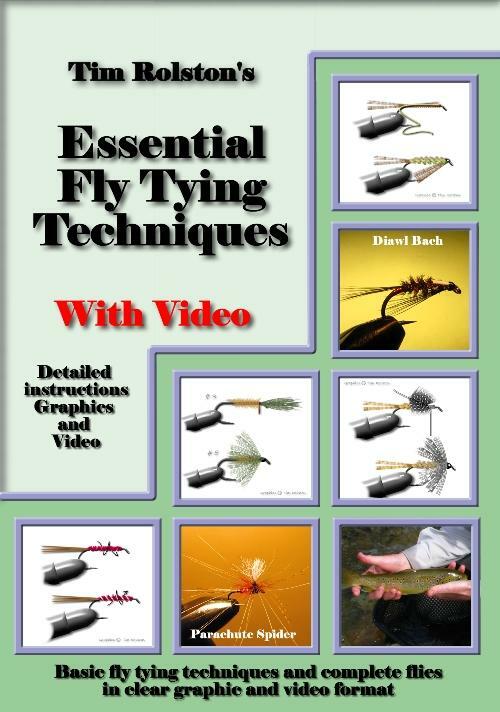 Over 80 full colour graphics, 14 fly patterns, dozens of techniques, over 30 video clips and over 100 pages Essential Fly Tying Techniques will provide everything the novice needs to know and quite a few tricks for the already established fly tyers.